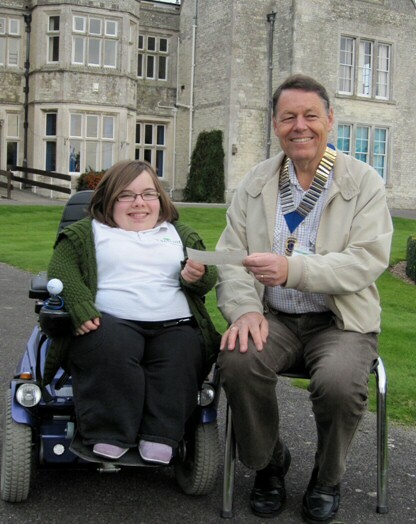 Ella Carnell-Jones, Head Girl at Treloar School at Froyle, receives a cheque for £1600 from Alton Lion President Graham Dix. The money was raised at the Alton Lions Good Old Days event in Alton Public Gardens this summer. The donation will be used to support items from the schools fund raising priority list which covers equipment needed by the students such as speech aids, special cutlery and crockery and a sleep monitoring test facility.